"Best course I've done in ages." Counselling is on offer everywhere, yet its effectiveness varies enormously. Some counsellors are brilliant, others useless – some even harm clients (albeit unwittingly). Despite the wealth of research findings available to us today, the field of counselling and talking therapies still lacks a shared, cohesive evidence-based approach as to the best ways to help people – as a result, and despite the hardworking army of counsellors and psychotherapists (operating from a wide range of models), the rates of depression, anxiety disorders, addictive behaviour etc continue to climb. This course cuts through the ideology and concentrates on what we know from research findings works – and why – important information if you want to ensure you're helping your patients as quickly and effectively as possible. Tutor Joe Griffin is an acknowledged expert on psychological interventions for depression, anxiety, anger disorders, trauma and addiction. He has transformed the outcomes of thousands of counsellors by showing them how to work with the givens of human nature – the result is a truly holistic, evidence-based and powerfully effective approach that empowers clients and helps them build resilience against future setbacks. If you work with, or support, distressed adults or children, you will gain essential new information that will make your work easier and more effective. The course also provides an excellent foundation for anyone interested in becoming a counsellor or psychotherapist – it will help you see the wood for the trees – and could even save you years of wasted effort! Discover for yourself what can be done to make counselling much more reliably effective – and why this powerful approach is inspiring so many in the caring and teaching professions. Take the course now. Knowledge of the major myths that still continue in the field and make much counselling ineffective – taking this course could save you years of wasted effort! Part 1 – What is counselling? When does it work? When does it not? 'How to make counselling more effective' is based on our one-day seminar of the same name. This online course is split into 4 modules, each of which are broken down further into different sections containing filmed lectures given in English by the tutor, Joe Griffin. Each film clip is followed by a short series of multiple choice questions. These are designed to help you think about and absorb the course content and to check that you have understood the main points of that section before proceeding to the next. There are also course notes for you to download, plus additional reading information and helpful links. You can take as long as you like to work your way through the course and can view it as many times as you like. Once you have completed the course, you will receive a CPD certificate, which counts towards the Human Givens Diploma. 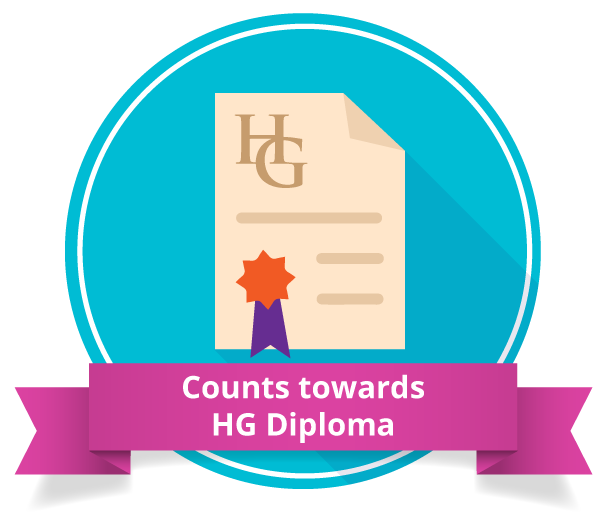 When you successfully complete the course, you will be awarded a CPD Certificate by HG College and The Human Givens Institute (equivalent to 6 hours of continuing professional development). 'How to make counselling more effective' is also a required module of Part 1 of the Human Givens Diploma, so by successfully completing this online course you will also have completed a part of this highly respected qualification. Joe Griffin B.SC.Hons (Psych), M.PHIL. (Psych), AFBPsS, FHGI is a psychologist with many years' experience both in psychotherapeutic practice and in training psychotherapists - over the last 20 years thousands of health professionals have enjoyed his practical workshops and seminars on effective psychotherapy for treating anxiety related disorders, depression, trauma and addiction. How to make counselling more effective. Thank you for a wonderful first human given course. I have made up my mind now to continue studying with you. I have learnt so much on this course and cannot wait for the next one. Another fantastic course from Joe! As a hypnotherapist, I really feel I am adding to my toolbox with these wonderful online courses. Would you consider adding more for those of us living outside the UK? Thanks very much for the course - I love Joe's touches of humor! I learned such a lot completing this course. It's been really interesting and has made me want to carry on and learn more. I really enjoyed this course, I found it to be very informative. I particularly liked the way Joe used examples in the videos creating a greater understanding of the topic. I recently completed both HG courses. I am grateful that each course provided material that I can use immediately in my practice. Most of all I am grateful that both personally and professionally there are practical and concrete ways to address human needs and improve life using our innate resources. This course was great to emphasise some of the skills from previous modules, and also to bring together all of the skills needed to structure a good therapy session with a client. Valuable information! Joe delivers his information in a clear and concise way, giving lots of workable examples. He is a very knowledgeable and likeable person, whom you can connect with easily even on video :) Thanks Joe! Well paced lecturing style, fascinating and hope filled content, very easy to follow and understand. Enough science to make a lay person feel informed but not too much to make that same person overwhelmed. Excellent stuff thank you. I really enjoyed this Module and learnt lots. I love the way Joe presents and it is a pleasure to listen to his seminars. The module questions helped me to do active learning and to remember key points. Can't wait to start my next module. Excellent on-line course - clear and well structured. Great idea to break up the course content with multiple choice questions - I like the way the icons bounce up and down to let you know what to click next! Very useful course. A concise summary of Human Givens Counseling. Great job right from the first segment comparing HG counseling to the way many of us were initially trained to be therapists, and the harm some of those methods could cause. I look forward to reviewing the content of this course again. I find the questions to be a good and useful review. Joe is an engaging speaker, as well as endearing, with his sense of humor and smile. The quality of the audio and camera work is superior to most training videos I have taken in the past. It was as exciting as it seemed when I first read about the approach. I'm also really pleased to find something that fits with my own values and philosophy of life. This course has renewed my enthusiasm for my profession and shown me clearly what I need to be doing from now on to make a concrete difference to people's lives. Such a humane, positive and realistic approach.